TONY WALLS has added McLaren Blancpain GT series driver Andrew Watson to his Objective Racing squad for the 2019 Liuqi-Moly Bathurst 12 Hour. The 23-year-old from Belfast, Northern Ireland will join Walls and Warren Luff in the jet-black McLaren as the team restructured their driving line-up for an attack on the Pro-Am class next February. The team had initially planned to run Jaxon Evans for a second season, however the young Kiwi’s success in the Porsche Shootout ensures he will be an exclusive Porsche driver next year. Tim Slade, who has driven for the team for the last three years, will instead drive for his Blancpain GT Asia series squad HubAuto Corsa. “We’ll be running myself, Luffy and Andrew Watson next year,” Walls confirmed. “He’s run there the last few years and did a good job last year in particular. He’s driven the McLaren all year in Blancpain with Garage 59 so he knows the car well. “Jaxon is a Porsche driver now, which is fantastic, and Tim told me a while back that he’d like to do the race with the team he races in Asia which is absolutely fine. “We wanted to find someone experienced and Andrew has the miles in the car and at the track. Watson enters his fifth years as a McLaren driver having commenced with the brand in 2015 as a member of their young driver program. 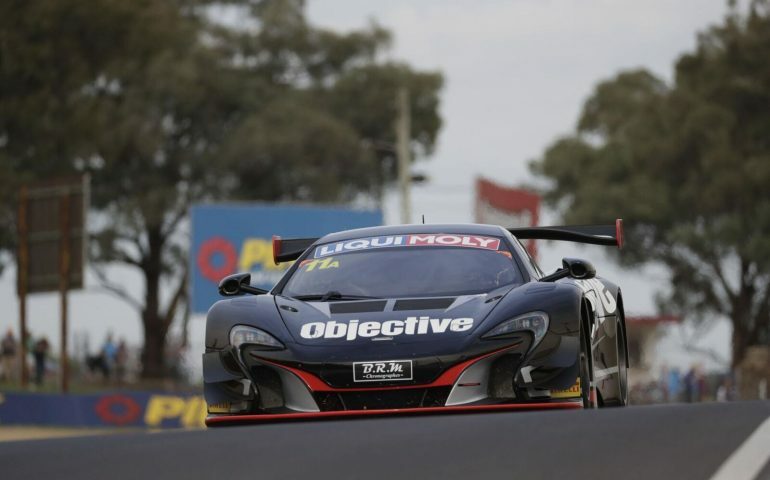 He has two starts at the Bathurst 12 Hour and finished 11th outright – 5th in the ProAm class – driving a YNA Autosport McLaren 650S GT3 with Scott McLaughlin, Fraser Ross and Alexander West in 2018. He finished 9th in the 2016 race, sharing a Tekno Autosport entry with Will Davison and Rob Bell. Luff is a former 12-Hour podium finisher and also holds one of the most impressive records in the history of the Supercheap Auto Bathurst 1000 – without actually yet winning the race. Now driving for Walkinshaw Andretti United, he has finished second or third in five of the last seven years in the Great Race – including second in the last two encounters with Scott Pye. Confirmation that Objective Racing will again shoot for success in the Pro-Am category builds an already strong category for the race. Yesterday, Hallmarc Racing confirmed Marc Cini would be joined by Lee Holdsworth and Dean Fiore, while Wall Racing locked in Cameron McConville, Tony D’Alberto, Adrian Deitz and British driver Julian Westwood in a Lamborghini Hurracan. Yasser Shahin will be joined by David Reynolds and Luke Youlden in another strong Pro-Am contender, while R-Motorsport expects to field one of their two Aston Martin Vantage GT3 entries in the Pro-Am battle.